Mega rare would be a massive understatement. These gems have been found in a box in the middle of nowhere. Long deleted, lost and forgotten about. It's like the scene in National Treasure where they break through the door and there is all the treasure! 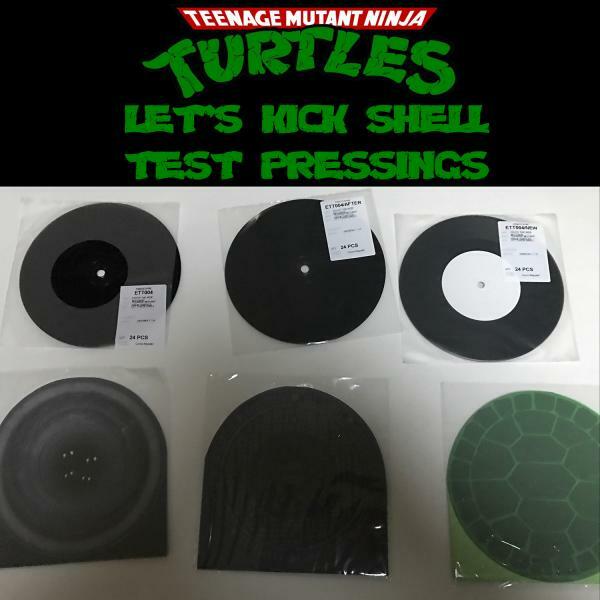 Turtle Shell Face Test Pressing. Sewer Hole with Turtles Eyes Test Pressing.